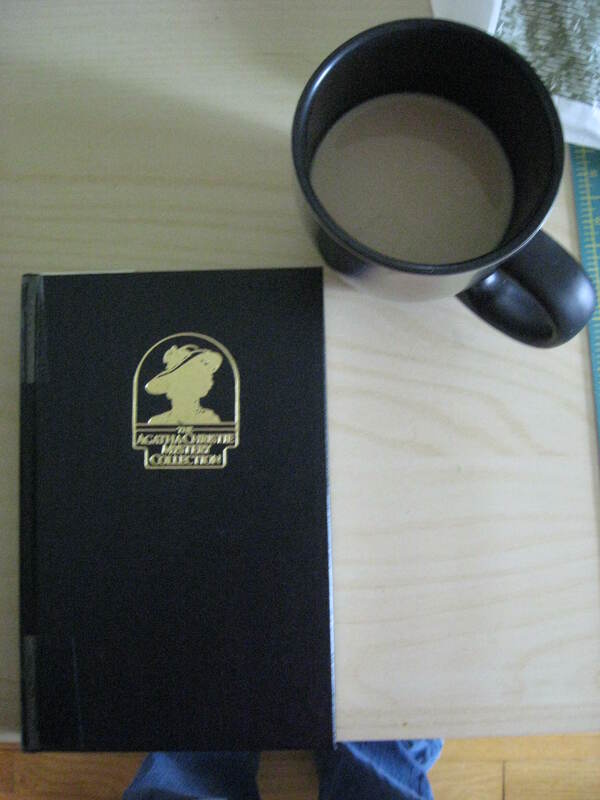 Drink coffee and read a mystery. This one is Passenger to Frankfurt by Agatha Christie. So far it’s pretty good but i think i prefer her Mrs. Marple or Hercule Poirot stories to this spy novel. And of course some knitting!!! 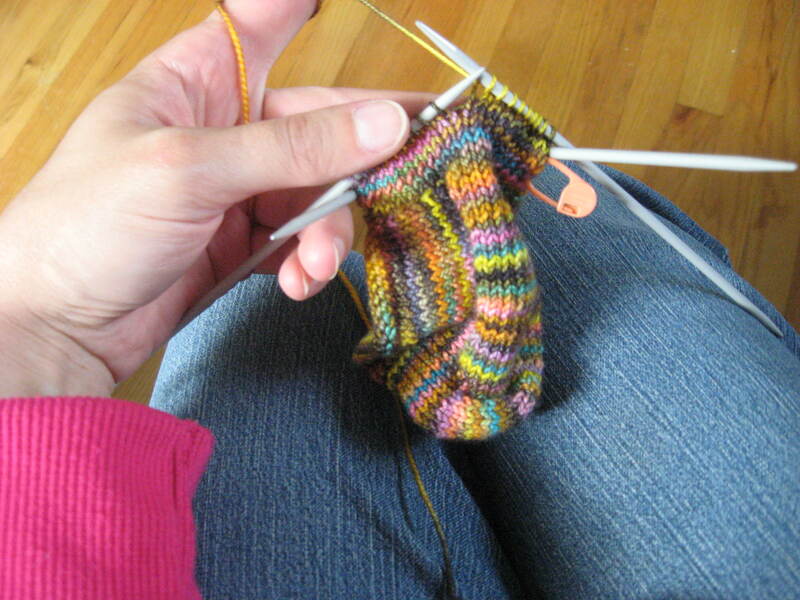 I am finishing up my Turkish Bed Socks from Churchmouse Classics. With some slightly cooler weather coming, these will be perfect. My favorite is “And Then There Were None” though I haven’t read that many Agatha Christie. We went to visit H at school and took her and a friend out for lunch. Then I got to come home and knit.